Newspapers can be a treasure trove of information to the genealogist and the historian. Here are some online resources to consider when going online to research historic newspapers. Local newspapers indexed (Elmira): Try searching in Starcat for indexed local history articles and/or obituaries from local papers. For indexed obituaries, click here. Many of our local news stories pre-1996 are in-house in our card catalog of local history. Until recently, we had access to Gannett newsstand, which provided full text of the Elmira Star0Gazette from 1999–present day. As of July 1, 2017, this database was no longer available to NYS library card holders, and there is some question as to whether it’s available at all. We will update this blog post as more information comes in. One workaround to this loss is to visit the Star Gazette Archives page. Here you can search the Star-Gazette from 1891-present day. However, access to the articles online is hidden behind a newspapers.com paywall. One could note down the date and page of the articles they want, and come into the Steele Memorial Library to copy the articles for themselves from our microfilm collection. 1. New York Newspapers which indexes ten major newspapers published in the state of New York, including the Buffalo News, Glens Falls Post-Star, New York Times, New York Post, and Newsday. 2. National Newspaper Index (Infotrac Newsstand) which offers over 2,000 full-text newspapers that include several New York State newspapers. NYS Historic Newspapers : The NYS Historic Newspapers project provides free online access to a wide range of newspapers chosen to reflect New York’s unique history. To search the entire collection, use the Search Tab. Or, click on a county to search or browse geographically. 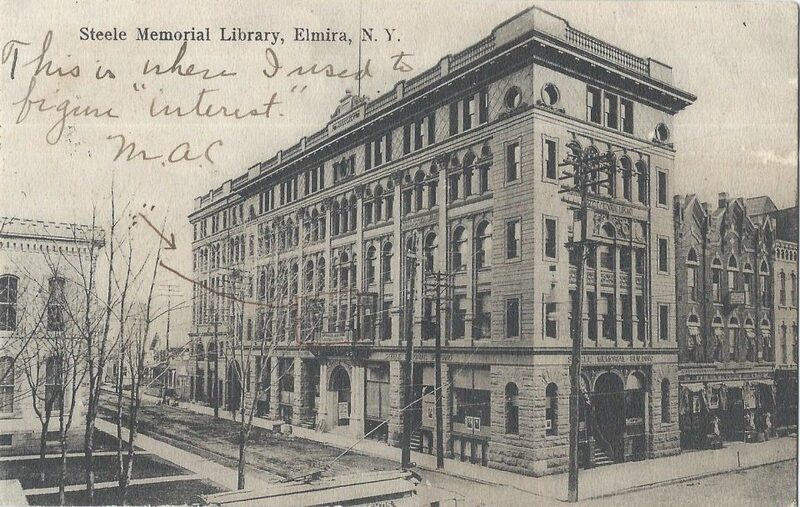 UPDATE (2018): NYS Historic Papers now holds the “Elmira Gazette” from April 1891 through June 1907. Fulton History: A searchable repository of historic newspapers published in New York State between 1795 and 2007, frequently updated. Also includes a handful of U.S. newspapers outside of NYS. Library of Congress: Chronicling America: Search America’s historic newspaper pages from 1789-1924 or use the U.S. Newspaper Directory to find information about American newspapers published between 1690-present.